Your tour begins with Chef Michael Howell meeting you at the Bari Palese Airport (BRI) where the flights usually arrive around 11am. Once arrivals and your baggage have all been accounted for, we will board our vehicle for the short 20 minute transfer to Villa Cappelli. 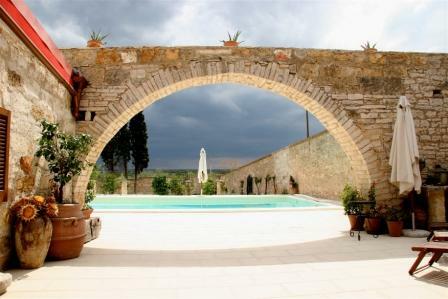 The 12,000 sq foot villa is located just outside the small city of Terlizzi, directly on the original Appian Way, the world's first superhighway from Brindisi to Rome. This magnificent villa is our home for the next four nights. We will check into the villa, find our rooms and then enjoy a welcome cocktail or glass of local Nero Di Troia wine made by host Paul Cappelli and Nino. A quick dip in our pool? To get the jet lag over with, a little time for rest and relaxation is part of this afternoon’s itinerary. We may choose to go and get some advance breakfast items in town on a brief expedition. 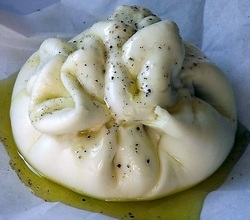 First thing Sunday morning, for those inclined, we will drive with Paul Cappelli up into the Murgia hills and visit a fantastic dairy farm, Masseria Carone, and see fresh mozzarella being made. Then we will purchase some and bring it back to our villa for dinner later that evening. After our quick pit stop we will pick up anyone who wanted to sleep in or chill out, and make a foray into the capital city of the region Bari for a walk around the old historical centre (where we can watch old ladies still making traditional orrechiette pasta by hand) and then a light lunch. Mid afternoon and then we return to the villa. Michael will conduct a cooking session for those inclined. Alternatively you may relax by the pool or enjoy a historical walk of the Villa Cappelli property with host Paul. At 8pm we will enjoy the repast prepared by Michael and helpers on the Loggia with smooth Italian jazz and local wines. the kitchen and then we make our way to Tormaresca Winery, owned by the illustrious Antinori Family of Tuscany. This is their Puglia estate and no grander winery can be found in all of Italy. We will enjoy a tasting of their estate wines and a tour of the complex. 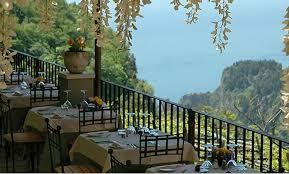 We then make our way to Montegrosso and Michelin starred Ristorante Antichi Sapori. We will need to come with an empty stomach as we enjoy a leisurely multi course luncheon of La Cucina Typiche with plenty of their engaging local wines. 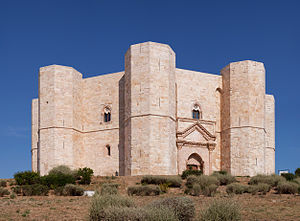 Then its off to Castel Del Monte (pictured at left), to walk off the lunch - its a a world UNESCO Heritage Site and arguably the most beautiful castle in all of Italy. For those wanting a little adventure we will head out early to Alberobello, the famed city of "Trulli" for a walk about the City and some shopping. 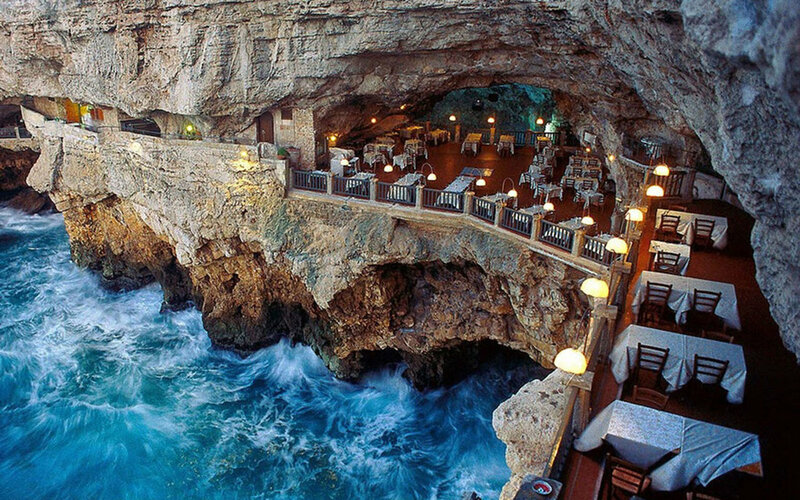 Then its off to to Polignano a Mare, home of the famous Grotta Palazzese restaurant in a grotto over the ocean, where we will enjoy a spectacular lunch. Later in the afternoon we head inland to visit the Grotte Castellana and tour some of the most amazing caves in the world. We then head back to Villa Cappelli for dinner and wine​. 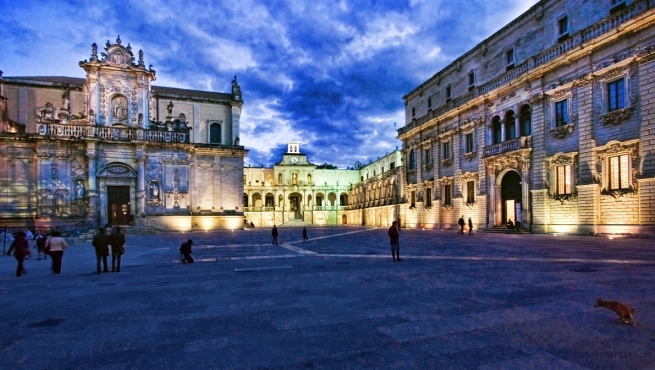 We Bid Paul and Steven goodbye and make our way to Matera one of the world’s most extraordinary World UNESCO heritage sites. 1000’s of years ago, early humans built dwellings in caves in the sides of this river gorge. They lived and grew food here, the dwellings have survived all this time (many inhabited up until the 1960's!) 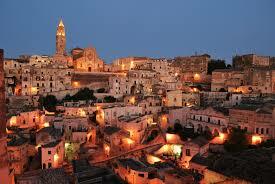 and Matera, a new and modern city, has grown on top of the ravine. We will fend off our hunger with a stop for a pizza luncheon then check into our hotel Palazzo Degli Abati for one night after which we will spend the afternoon exploring the Sassi with a local guide . Late afternoon you can relax back at the hotel before we hit Baccanti, a favourite restaurant of mine for a regionally inspired dinner. We take our leave of Matera and enjoy a 1.5 hour drive through bucolic countryside to Grottaglie, a city where grafitti artists from all over the globe have left their mark. We have a walking tour of the city, visit some wonderful ceramics shops and then enjoy a simple lunch at a local trattoria. 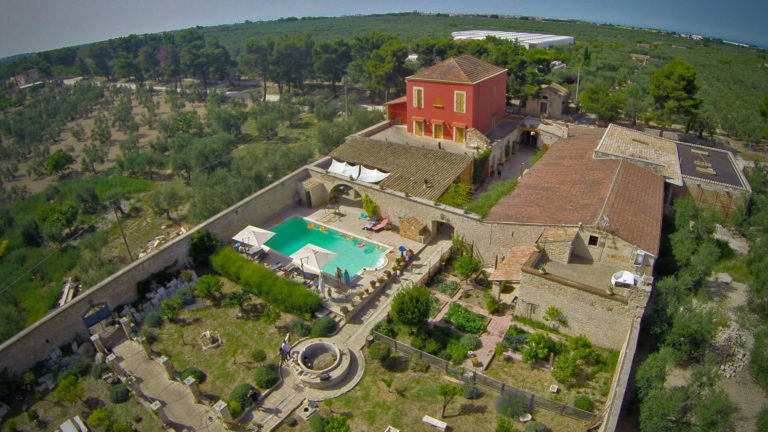 We head SE to our next villa, 'Casino Metrano' on the grounds of Castello Monaci. We settle into the villa and enjoy a light supper on the grounds, and watch the sun set over the vineyards. We stay put today! Enjoy the villa, read a book, splash in the pool. Lunch from Michael at your leisure. If anyone is inclined we can take a trip to the beaches at Torre di Lapillo, about 20 minutes away for a little bathing in the Mediterranean. of hours. You will have a private guide to show you the gems of the city. You will visit the major historic sites, and then continue your exploration on your own for an hour to do some shopping in the many great shops or while the afternoon away with some coffee - the people watching is excellent in this university city. Then we will enjoy a tasty lunch at Crianza before heading back to the Masseria. There, Chef Michael will prepare a light pasta dinner with excellent wines to accompany and close out the day. Porto Selvaggio for a picnic and ocean swim! On our last full day in the Salento region we will head out early to visit the fish market in Gallipoli and take a stroll and coffee in this ancient city, now a very popular resort town. We will pick up some seafood for tonights dinner and some picnic goods for our lunch. 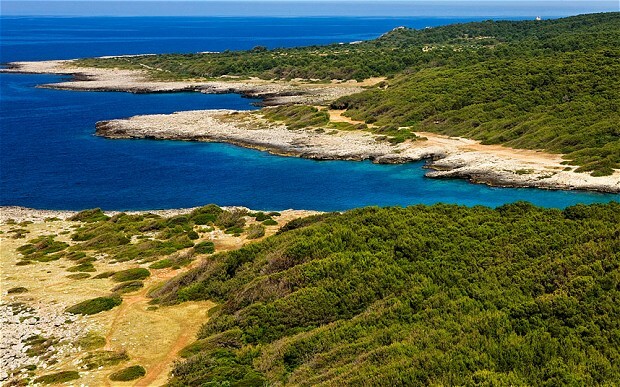 We make a short drive and 20 minute hike to a National Park, Porto Selvaggio. This is one of the great hidden treasures in Italy's south. If there were no beach here, the hiking would be enough to fill a day with breath-taking views. But there is a beach - one of the most beautiful in Apulia, where we will picnic and have a swim! ​Then back to the villa to relax and enjoy a seafood dinner and our last evening in the southern Italian countryside. Deposit of 30% due on booking, refundable up to 90 days before departure. Refund 50% of deposit up to 30 days. Final payment due 60 days before departure.